Because we homeschool I am with my boys pretty much 24/7 and eat all of my meals with them. 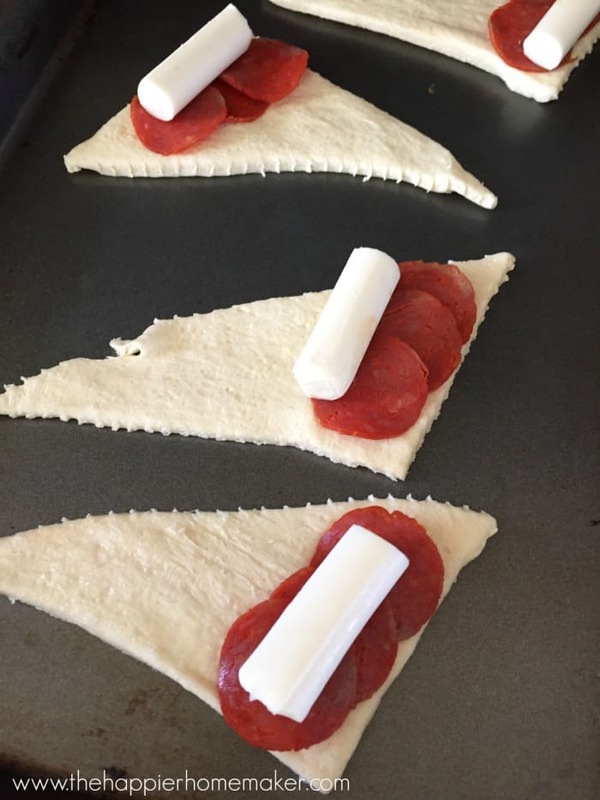 We do a lot of the standard kid foods like peanut butter and jelly sandwiches, grilled cheeses, and wraps but every now and then I like to change things up with a special, fun little meal for them. 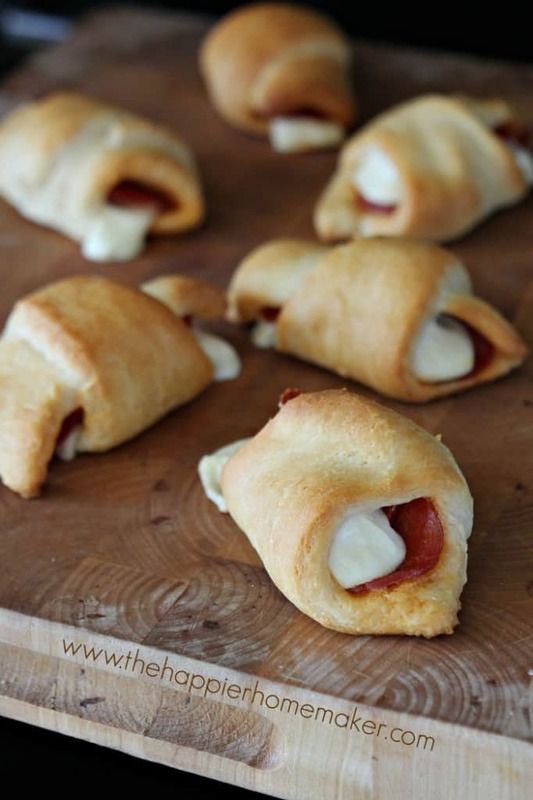 I’ve been making these little pepperoni pizza crescent rolls for them since they were toddlers and it’s always greeted with squeals of delight! 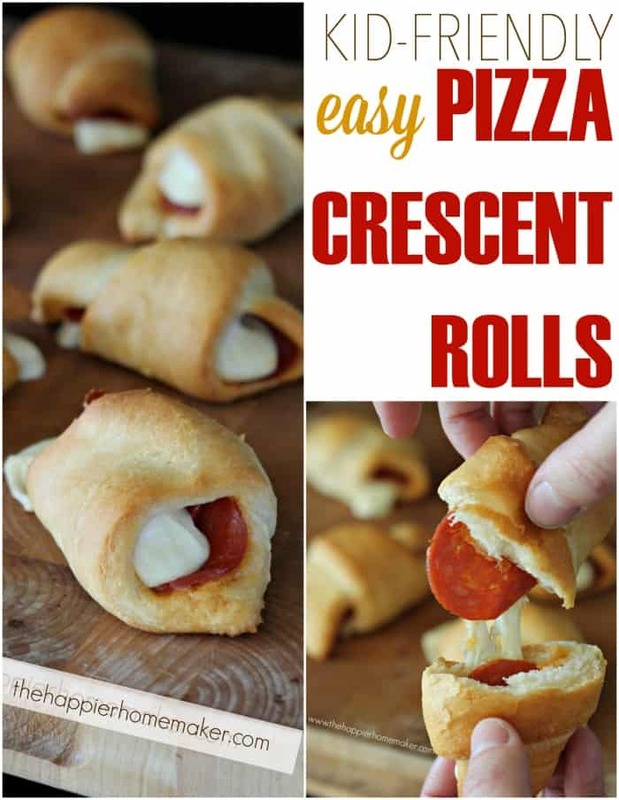 Start by preheating your oven according to package instructions and laying out the crescent rolls on a baking sheet. 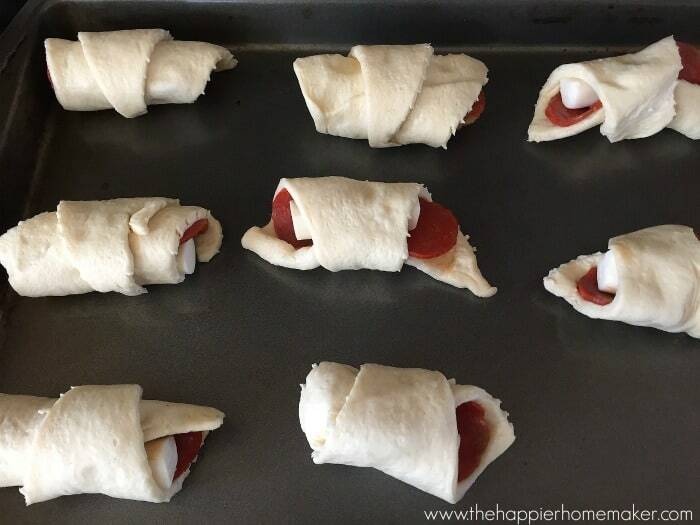 Lay out three pepperoni and half of a string cheese on the wide end of each crescent roll and roll it up. 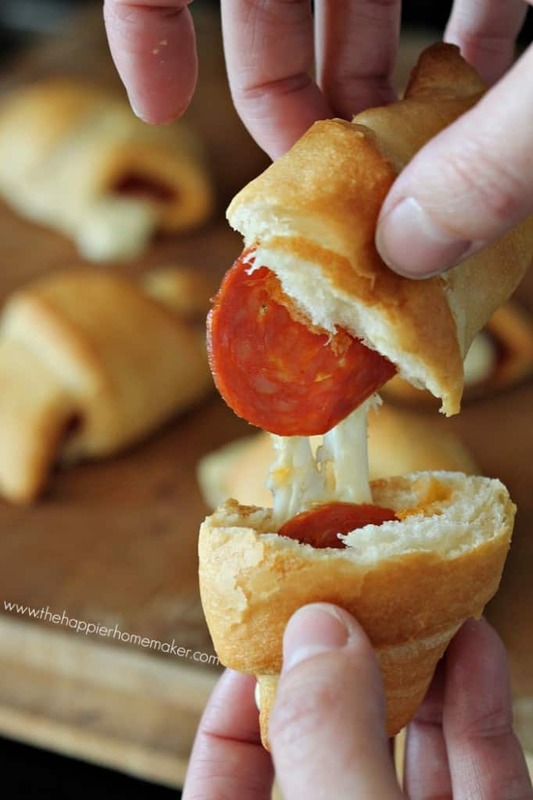 The cheesy goodness is amazing and the buttery rolls are comfort food perfection! 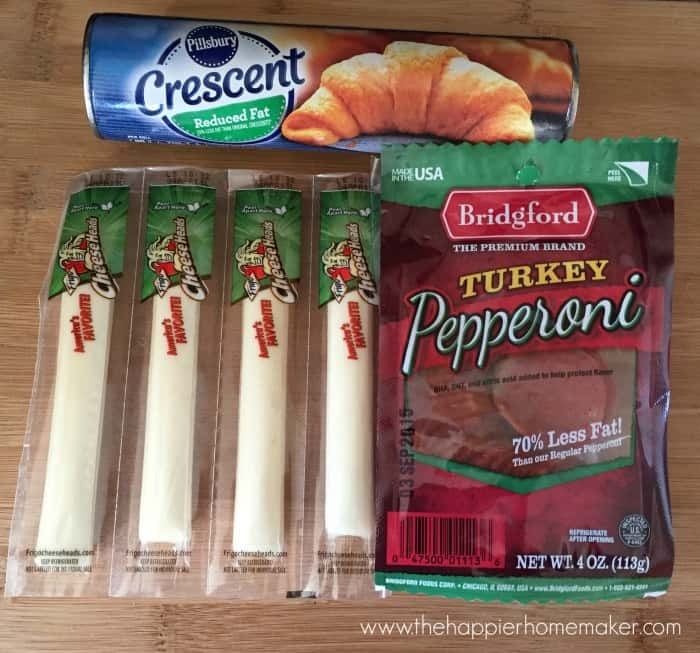 Do you have a special meal your kids love? I’d love to hear some of your ideas!